I have been eating lots of roast chicken lately. I always throw in some veggies in the roasting pan. The main ingredients here are lemon, garlic, coriander and honey. Sounds good doesn’t it? Today is a bright sunny day. The sun is fully out. Enjoy the rest of the week! 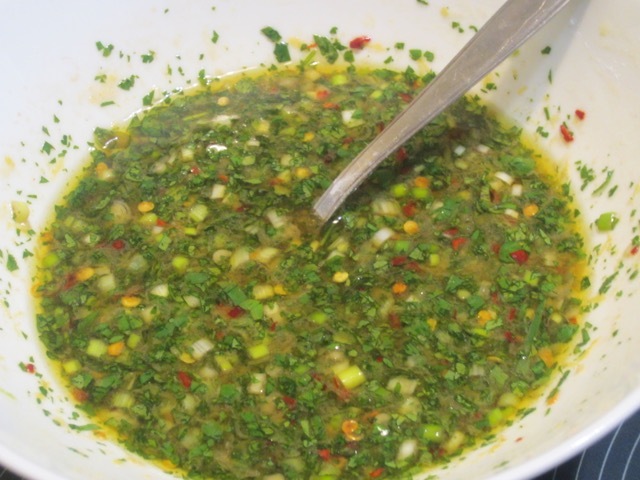 Combine all the marinade ingredients in a bowl and mix thoroughly. 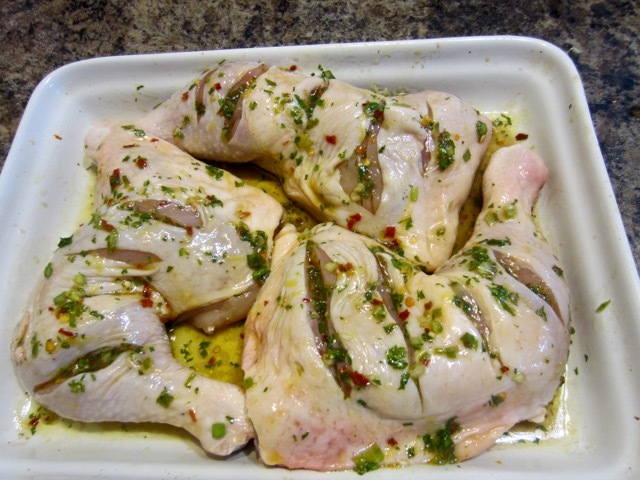 Drizzle ⅔ of the marinade over the chicken, on both sides. Cover and refrigerate for at least two hours. Bake at 375°F (190ºC) for 45 minutes to 1 hour or until fully cooked. Using a sharp knife, make 2-4 deep slits on the chicken. 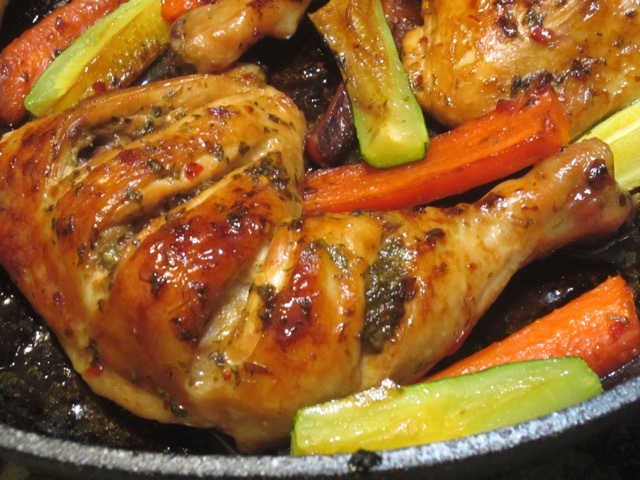 Drizzle ⅔ of the marinade over the chicken, on both sides. Cover and refrigerate for at least two hours. Bake at 375°F (190ºC) for 45 minutes to 1 hour or until fully cooked. Baste with the left over marinade in the last 15 minutes. Mmm I can visualize right way. BBQ time…I’m gonna try it! This looks amazing! I’m going to try it this weekend. I also LOVE how you serrated the chicken to allow for the marinade to soak in. I’d never seen that before! Great idea! Ha ha I do that all the time. I hope you did it!